It is irrefutable that Karachi is the biggest and metropolitan city of Pakistan. There are a lot of famous places in Karachi. Fiesta water park Karachi is the most famous and particular place in Karachi. 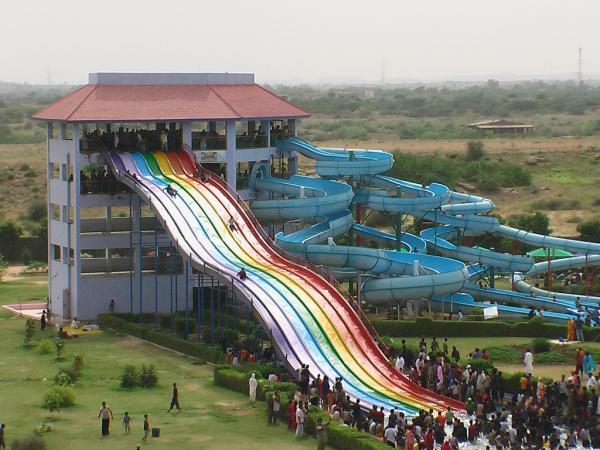 Fiesta water park Karachi presents a good-looking eye catching view to the people. 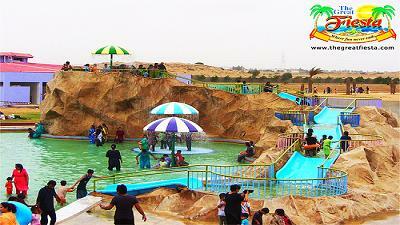 It is located near Deh amilan, Survey No 23, District Malir Karachi. 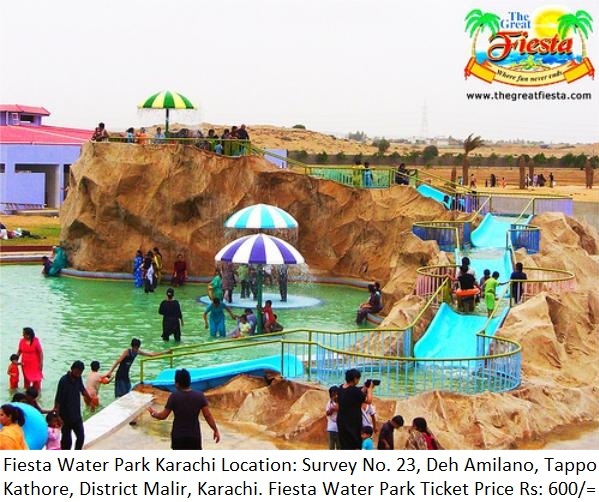 Fiesta water park Karachi has opened in march 2016 for people. It just open on Saturday, Sunday and public events. Its ticket price is RS 1000 which is expensive than others parks. Special discount is also given to the student in only situation when they are more than 100. It is a family park . No body is allowed without family. For the Office Staff or For School who really like to go there should be at least 40% female and maximum 60% Man are required. Every one can enjoy the new attraction in this park. 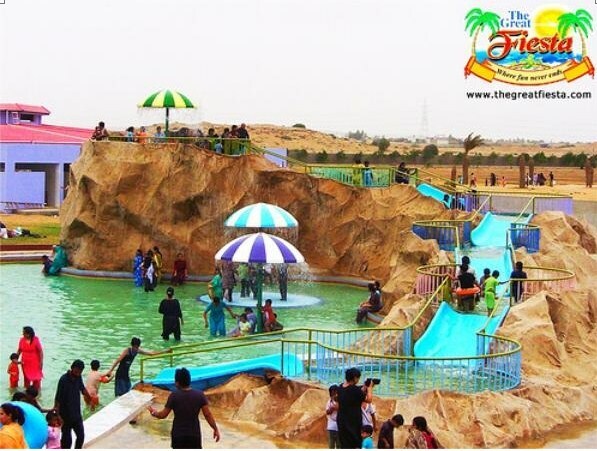 There is no doubt that The Great Fiesta Water Park is a really Karachi’s world class Water Park. 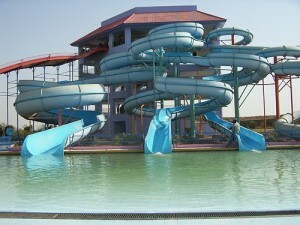 There are large number of water slides in various types in Fiesta Water Park for all grownups and adults. The most renowned Fiesta Water Slides comprising Raft slide, Big Monster Rainbow slide, Black Tunnel, Spiral slide, Free Cyclone and Fall slide for the ones who really like to rest and unwind cool-cool indoors with family members and companions. 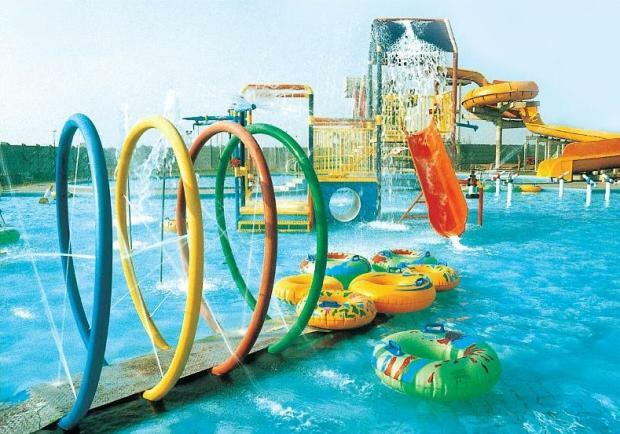 Mostly Kids love the play pool with complete colorful tiles, various water fountains, footbridge and of course 4 diverse slides of 12 feet height. Fiesta water park offers the safe and awesome environment to the visitors. 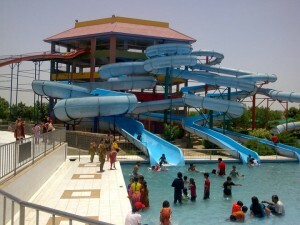 Visitors can get pleasure from with very cool vicinity with plentiful play activities and water-sports. It offers the numbers of facilities including spacious park and restaurant. 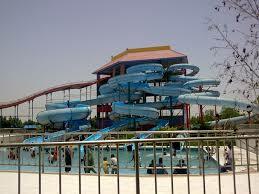 I think ticket price is little high then other parks in Karachi but it is one the best water park in Karachi.